Oh this is my favorite part of the birthday party. I know it’s a little bit unconventional, but I get a kick out of gifting our guests some of our favorite products. If I were independently wealthy, I would probably be doing it all the time. 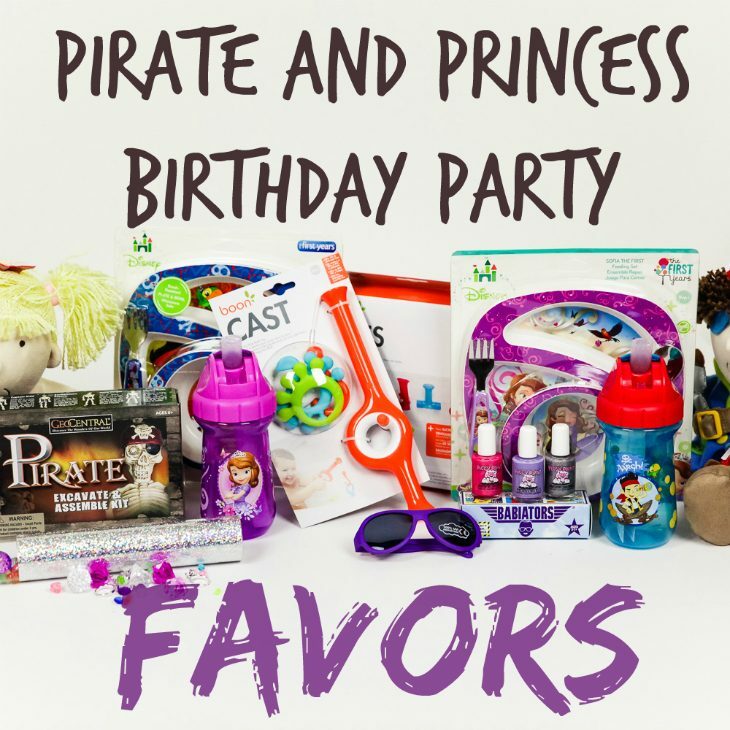 I am not, so I only get to do it during events, like birthday parties and only thanks to my amazing sponsors below. 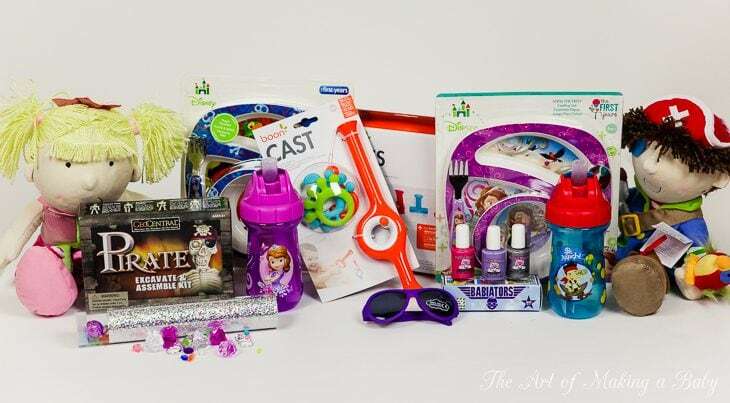 Usually, I have to get generic white gift bags since they are the only ones large enough to fit all the goodies and don’t have characters on them. 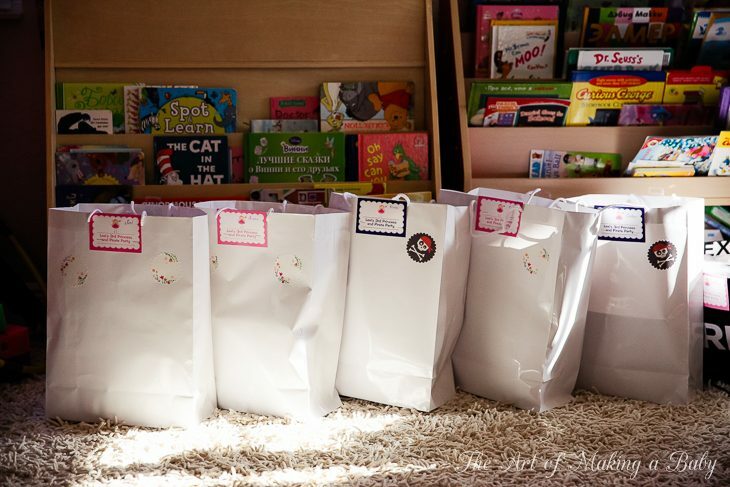 I stapled Stuck On You cards as labels on them to know who’s getting which bags, since girls and boys got somewhat different items and I tried to customize each guest’s bag to what I know about their preferences. Here is all that the bags contained, minus a few items that arrived late. 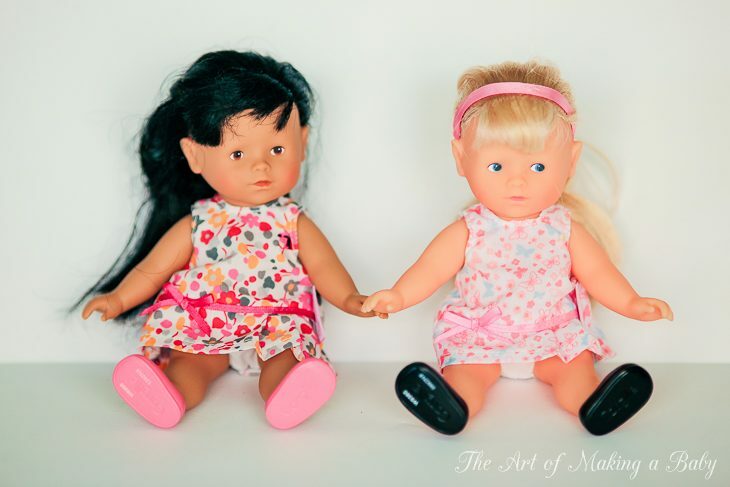 Really cute mini sized dolls to carry with you on trips and to grandma’s house. Their hair is long, perfect for grooming, they come in all skin colors and hair colors and have cute tiny dresses to dress them in. 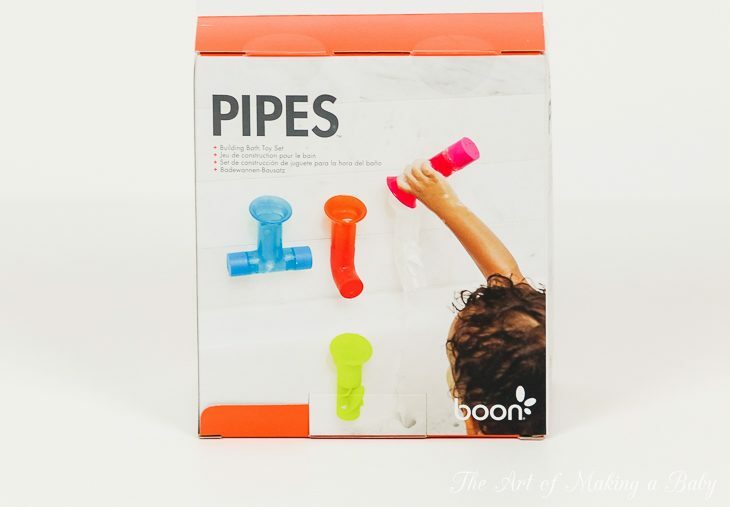 Fishing Pole with Boon creatures and Water Pipes, which are my favorite and can be used very creatively in a bath tub, creating water chains. 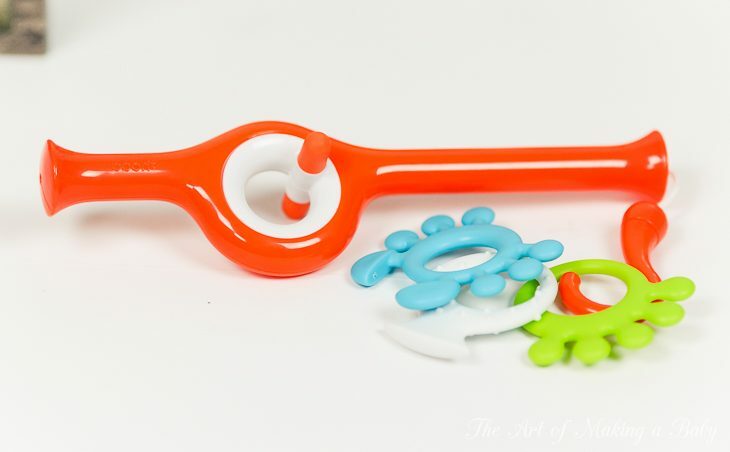 These toys are a super cute and fun way to teach your toddler how to unzip, unbutton/button, unclasp, unbuckle their clothing items. 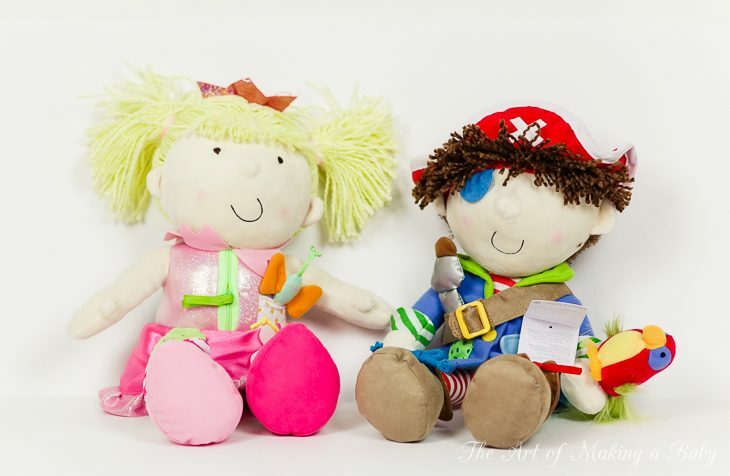 They have numerous fun features to mess with and are perfect for children just starting to learn to dress themselves. 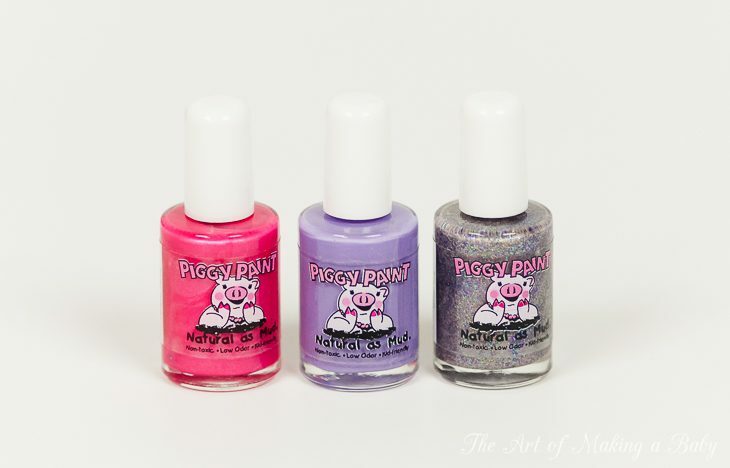 Very safe and cute nail polish designed for little kids who we don’t want exposed to harsh nail polish chemicals. Natural as Mud is their tag line and it’s a truly non-toxic fun way to give them their first mani/pedi. Such a fun activity! 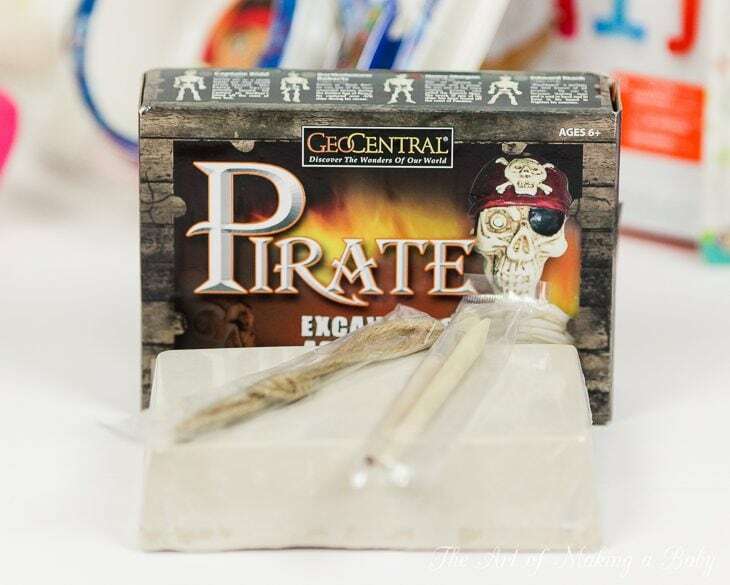 You have one of the pirates hidden in this block that you have to excavate and then assemble, bone by bone. It’s really not a secret how much we love Babiators here. In fact, even the banner at The Art Of Making a Baby features these sunglasses. I have gifted these previously to my friends, because of how much I believe in the brand. So this was not an exception. 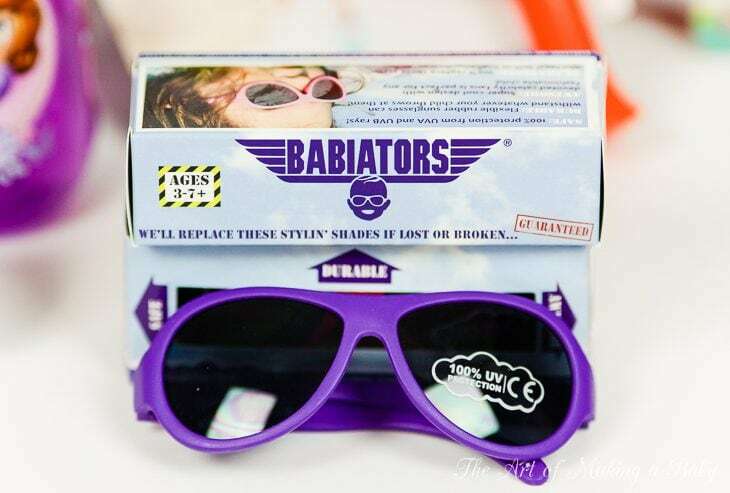 Everyone received a Babiators pair in various colors. 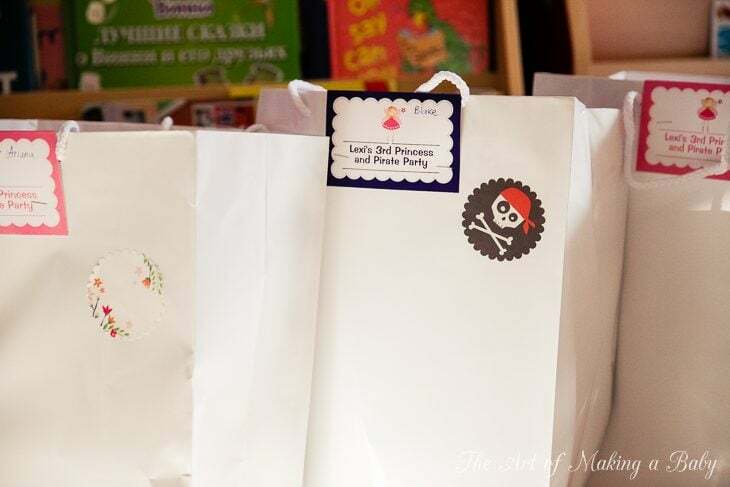 While I didn’t want the party to have a character theme, these were perfect for favor bags. 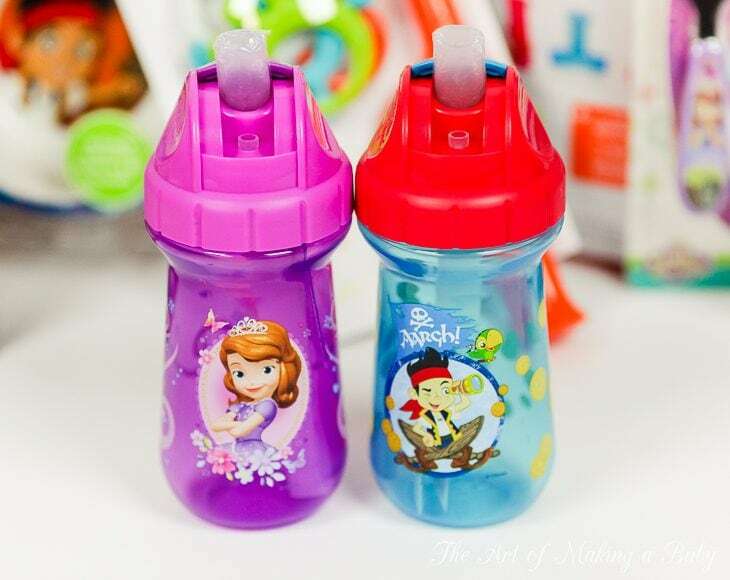 Princess and Pirate cups, Sophia and Jake. Later it was reported to me that the kids LOVED these. Because of the characters. Of course. 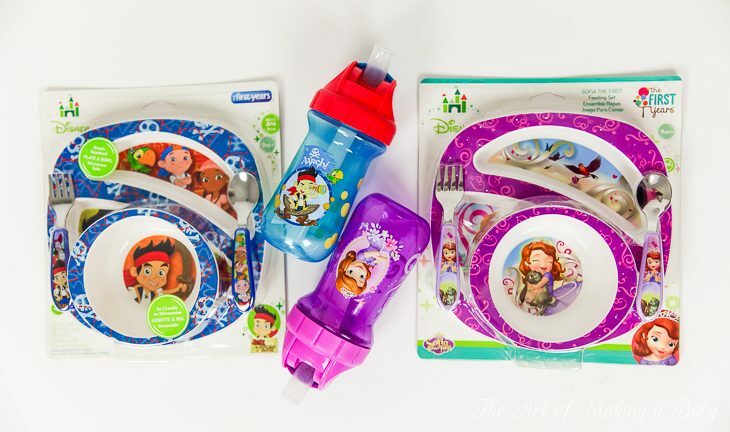 And matching tableware set with a divided plate, bowl and utensils, again with Princess Sophia and Jake, the Pirate themes. My personal favorite! Reminds me so much of my childhood, except for our kaleidoscopes didn’t have the option to add gems and rings to create different colorful shapes. It will work with common objects, as well, like flower petals and coins. Lexi herself is in love with the kaleidoscope and plays with it at least once a day. Again, thanks to my favorite brands for providing the products for the favor bags. Everyone enjoyed them greatly!